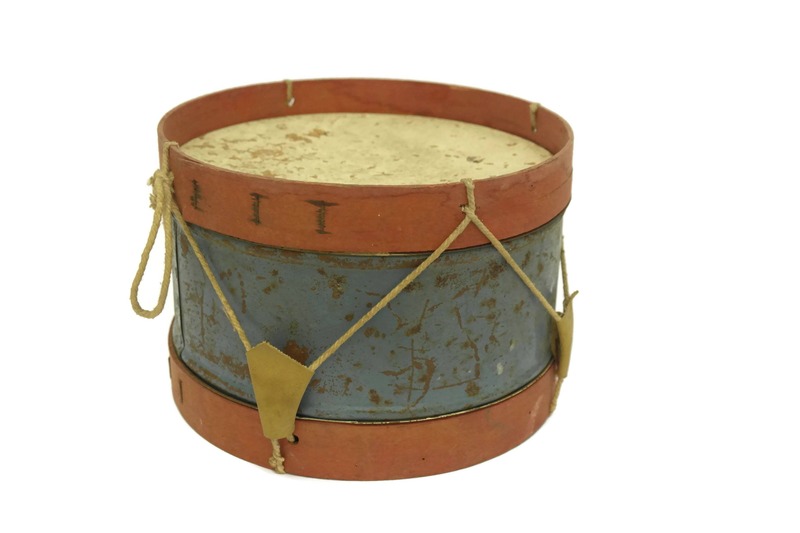 French Vintage Toy Tin Drum. 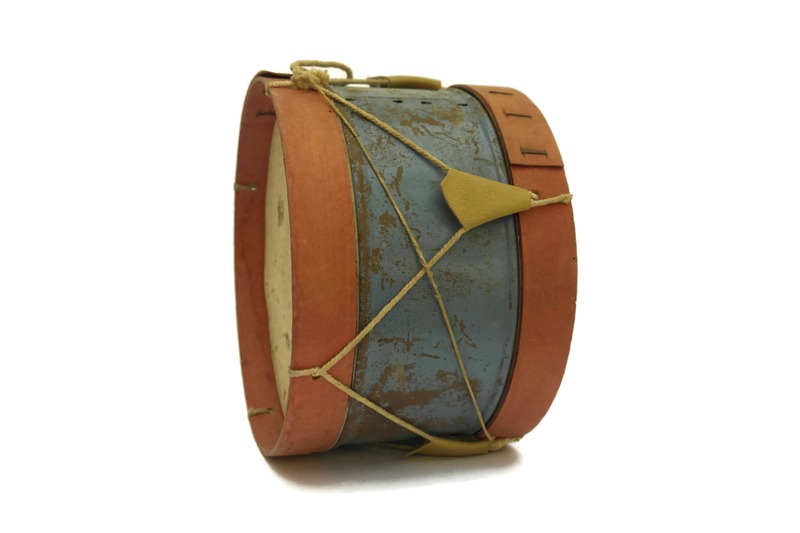 Art Deco Musical Toy. 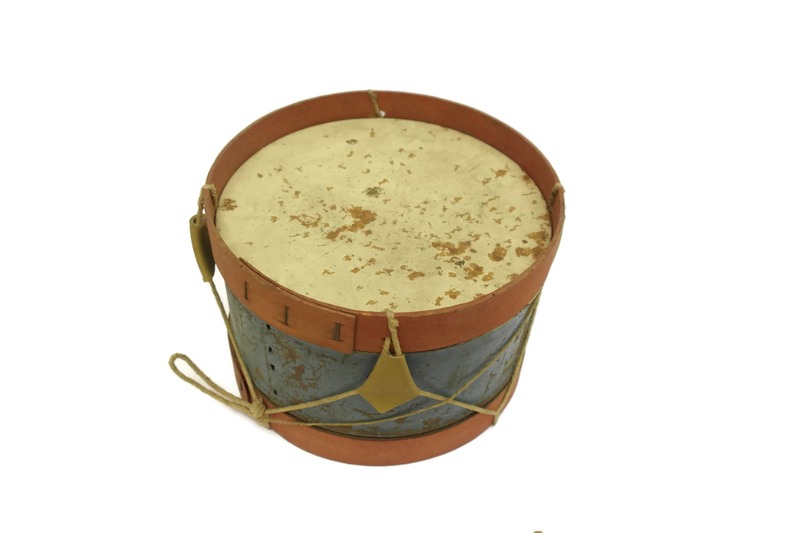 Antique French Music Instrument. 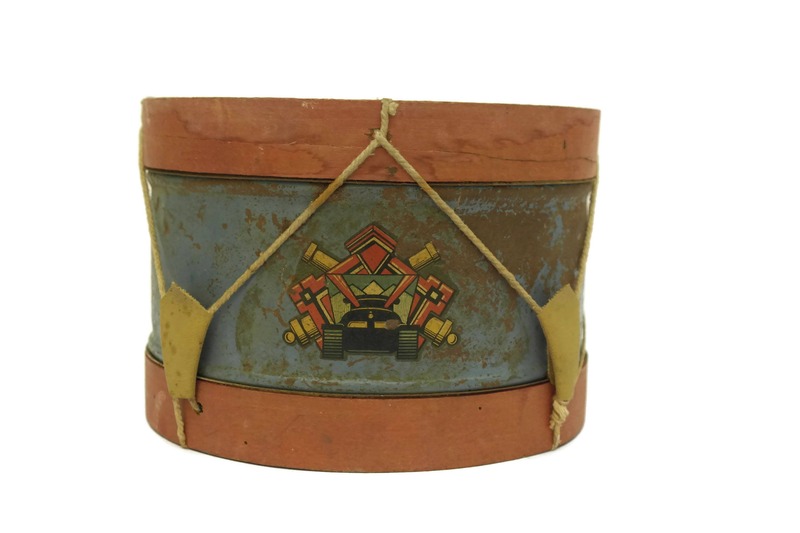 An adorable vintage toy tin drum dating to the 1930's. 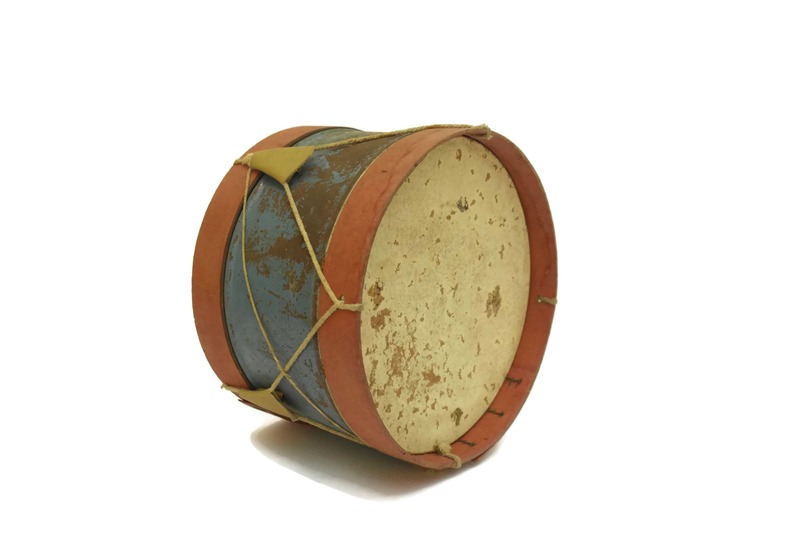 It has been manufactured from tin metal and pinted in blue and red. 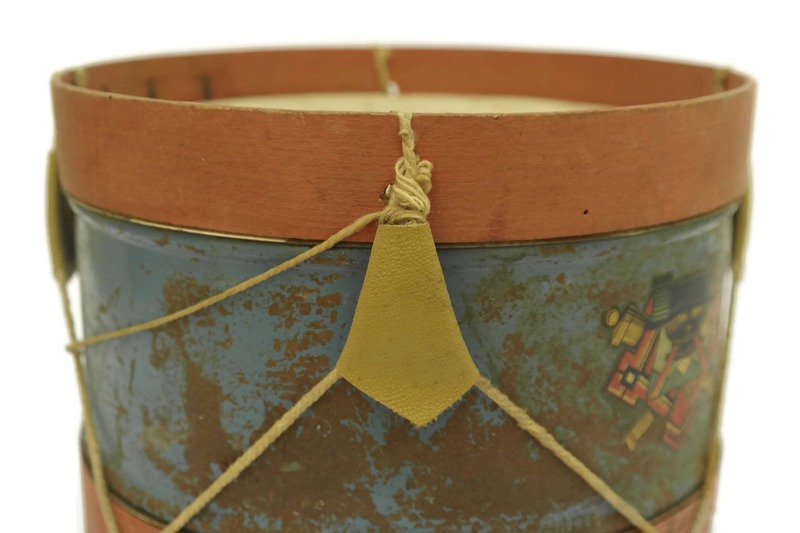 The edges of the drum have wooden bands braided with cord. 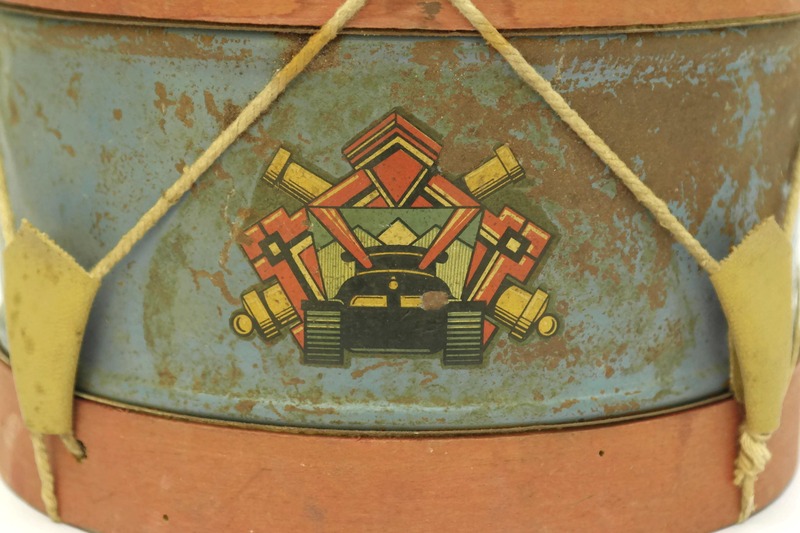 The front of the toy drum has an Art Deco image of a military tank. 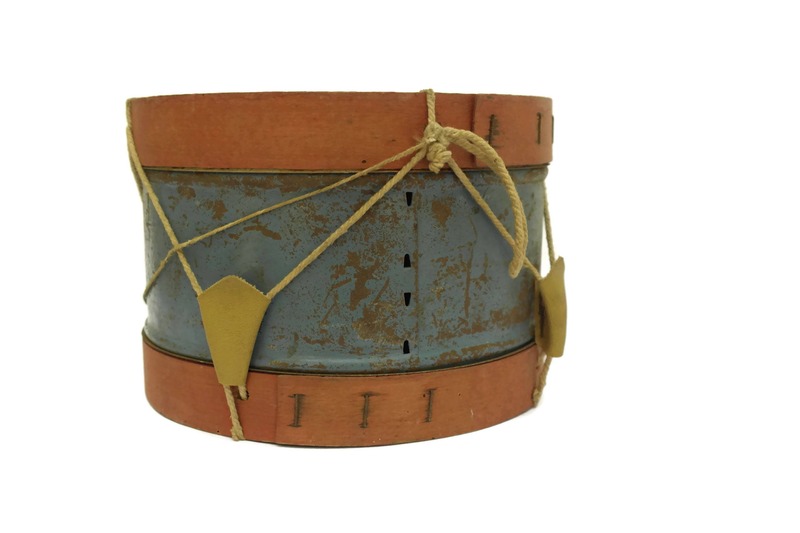 6" Tall x 9" Wide (15 cm x 22 cm). 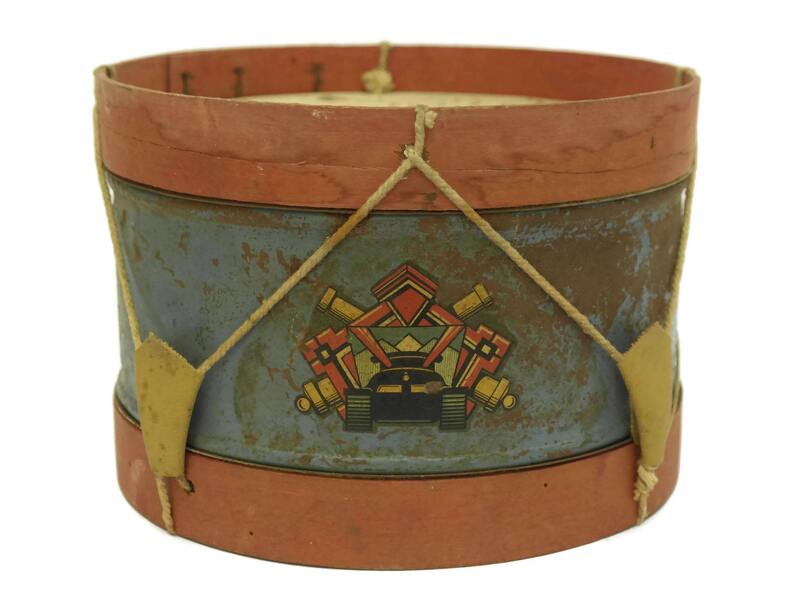 The tin drum toy is in fair condition with signs of age including flaking paint and wear to the surface.